When filing a damages lawsuit as a passenger that has been injured in a collision, in many cases it is often easier to build a damages claim as issues relating to proving liability are generally not a concern, whether it is a one or two or multiple vehicle accident, one of the drivers in the collision will usually be held liable. Have you been a passenger in a vehicle that was involved in a collision that resulted in your becoming injured? At the law offices of Goldberg Weisman Cairo, we are the largest personal injury law firm in Chicago and have been representing injured Illinois clients for more than 30 years. Our size, prestige and experience enable us to take the most complex auto accident cases and provide our clients with comprehensive, strategic litigation solutions. If you or someone you love has suffered serious injury or wrongful death as a passenger in a motor vehicle accident, we have the resources, the experience and the skill to help you. Significant complications arise when motor vehicle accidents involve passengers. Because there are often fewer protections on the passenger sides of vehicles, passengers are at greater risk. Rollover accidents and t-bone collisions, in particular, can pose a greater danger to passengers than to the driver. Passenger injury victims often find an emotional challenge in these cases, as well. In most instances, the passenger is in the vehicle with a friend, family member or colleague. It is usually someone the driver knows personally. Because of this, many passenger car accident victims are reluctant to file a claim that might harm their loved ones or acquaintances. Even if you are unsure about filing a personal injury claim or you have questions, it is worth your time to talk with one of our lawyers. We offer a free initial consultation, so you can discuss your rights and options with an experienced Illinois car accident attorney. Have you been a passenger in a vehicle that was involved in an accident? Did you suffer an injury or property loss as a result? Call our team of lawyers today at 1-312-464-1234 or fill out our “Free Case Evaluation” form to schedule a free initial consultation with a GWC lawyer. With more than $2 BILLION in compensation recovered for our clients and the experience gained from more than 30 years of representing injured Illinois motorists, we’re here to help. 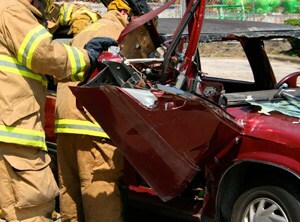 Your first consultation is 100% FREE and we only get paid when we obtain a recovery on your claim.